You got a receipt for that beanstalk, Jack? I’ve written about reading to my kids an edition of The Three Little Pigs that completely ditched any concept of personal responsibility, making the two pig casualties simple victims of fate. The latest fairy tale to make me wonder about its lessons is Jack and the Beanstalk. As with the pigs, Jack comes in many versions. 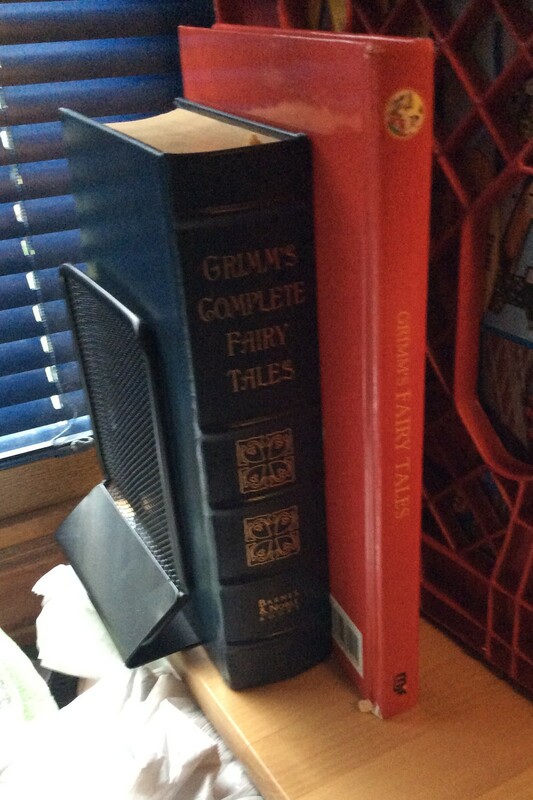 The one we read was a Golden Books edition, which I think are supposed to be the standard for children’s classics. I hope I’m wrong about this, and there is a Jack with better morals out there. Let’s hope there’s a reform school at the top of this thing. Jack makes bad choices, but benefits from them. He is absolved of his poor bargaining decisions because of a freak bit of luck. There’s no way he should have traded his cow for a few beans. His mother was right to give him hell about it. Out of a thousand kids who traded for magic beans, 999 of them went to bed hungry and rose hungry the next day, and that was the end of it. It was pure luck that Jack happened upon the only trader offering legitimate magic beans. This happenstance made a stupid decision look good. It made his mother look like an overbearing scold, when she was really the sensible one. We never hear about Jimmy and the Beanstalk, or Stanley and the Beanstalk. You know why? Because their magic beans were hoaxes. They got spanked and sent to bed. In the morning, they ate dirt for breakfast. No happy ending there. Jack gets lucky. In the morning there is a giant beanstalk outside his window. Jack climbs it up into the clouds – probably not the wisest decision, but I’ll give him a pass on that one. At the top, he finds a castle. He goes inside. I would too. Inside the castle, Jack discovers a giant. This giant has two noteworthy possessions: a goose capable of laying golden eggs and a magic harp. Without any hemming or hawing, Jack decides to steal these things. Jack spends so little time weighing the morality of this theft that we cannot tell if he would act similarly in a neighbor’s house, or if this is a special case because giants are different and therefore okay to steal from. Jack hurries down the beanstalk with his booty. Naturally, the giant chases him. 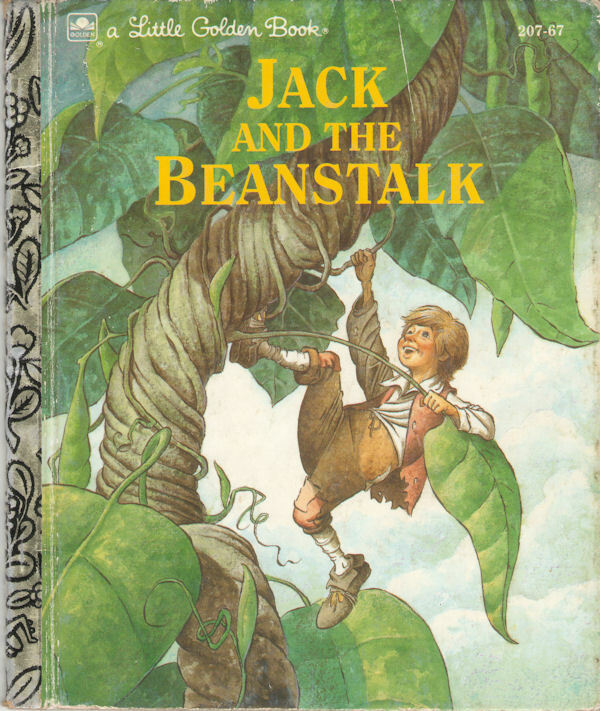 In some versions, Jack chops down the beanstalk; in this one the beanstalk falls of its own accord. This is a relief, since it negates the burden of explaining to my children why Jack stole from the giant and then murdered him. The theft issue is quite enough. But it’s really not so bad. You see, unbeknownst to Jack, the giant stole the goose and harp from Jack’s dear departed father. It was justice in the end, expunging Jack’s crime of stealing. Again, dumb luck bailed out Jack. Though Jack stole from pure greed, the giant’s estate couldn’t press charges because the items were pilfered by their rightful owner. It all makes me wonder from whom Jack’s father stole the stuff in the first place. Legally, Jack is off the hook. Morally? Well, that’s a discussion you’ll have to have with your child. As a child, I never took interest in Winnie-the-Pooh. My only exposure to what seemed a hopeless band of anthropomorphic misfits was television. TV convinced me Pooh was merely a chubby ne’er-do-well with no sense or self-discipline, who would accidentally strangle himself if left to his own devices. His friends were no more interesting. There was some kind of mule with chronic fatigue syndrome, whose pity parties wore thin. There was a pig in a sleeveless jumpsuit, and a boy who looked like he needed to eat some meat and potatoes. I don’t remember all the characters because I never enjoyed the films. I began avoiding Winnie and his crew. I avoided them without a backward glance for about 40 years. Then a thoughtful person gave my son a Winnie-the-Pooh storybook. I had never consider Pooh as literature because I’d been turned off by him as television. Having seen what Hollywood did to Tarzan and The Little Mermaid this isn’t surprising. I did not say this; that would have been lazy parenting, and the boy’s mother was sitting within earshot. I did the honorable thing: I tried persuading the boy he would prefer Green Eggs and Ham. When that failed, I sighed and began reading. To my surprise, the literary Winnie-the-Pooh is quite well done. This Milne fellow knew how to tell a story with charm. Winnie is not nearly so vacuous as in his films. He makes up witty little songs, and though he possesses less forethought than is to be hoped, he does spend some time on afterthought. Rabbit’s desire to keep his home free of unwanted visitors is relatable to any middle-aged man. The only thing that would make him more perfect is if he came to the door waving an 80-year-old shotgun he never owned shells for. I remember Piglet to have been portrayed as cowardly on TV. TV didn’t uncover the real depth of Piglet. Piglet has a keen sense of discretion. 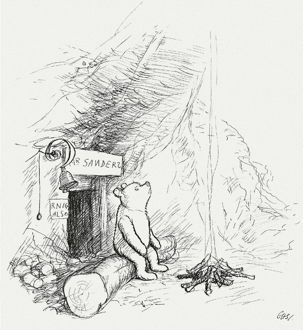 He is willing to accompany Pooh in pursuit of a couple of potentially hostile Woozles, but when he and Pooh are outnumbered he reads the writing on the wall. Piglet knows how to count and when to cash out. Now, if only he would cash out of that 1920s bathing suit. We haven’t met Eeyore yet. No doubt, he will turn out to be a grizzled veteran of the Boer War, suffering from a tail wound and in constant pain from a bullet lodged in his hip. 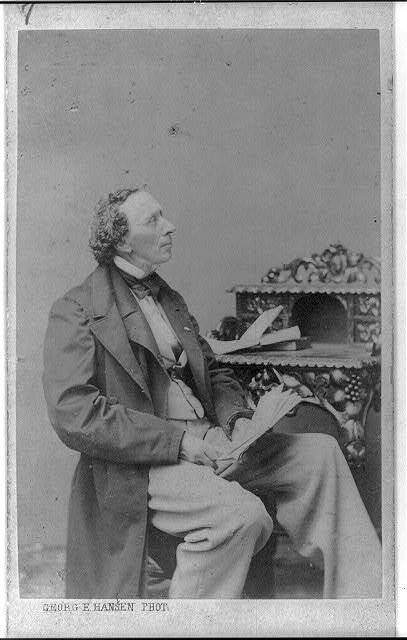 What once seemed like incessant complaining will surely be words of wisdom from a hero of the siege of Kimberley. Though we got off to a rocky start, I like Pooh now. I like the way his stories are written. There is a unique talent for storytelling in the books. I hope it doesn’t take my boys 40 years to appreciate that.